So... OF COURSE we’re celebrating. And we’re doing it with the most perfect partner and friend to do it with… Zingerman’s! Join us for a really fun — and yummy and festive — book launch party for #LYWB on 10/24 at Zingerman’s Roadhouse! Zingerman’s, Ari Weinzweig, the amazing people of the ZCOB, and I go way way back and they’ve put together something really special. As a guest post today, we’re sharing Ari’s words here. They are kind and very Ari. These words are from his Weekly Top-5 List — I HIGHLY recommend you sign up for them. They’re not only delicious, but informative, and filled with good stuff. You can access his Top 5 List right here. In the meantime read on to what Ari says about what we’re all doing together next week! That that uplifting energy can be found with such high frequency is, to be clear, not an accident. There are many things that contribute to making this positive energy come alive. But one of THE biggest factors in making that energy a daily (if, of course, imperfect) reality, is that we actually teach, and work hard at, effective energy management. That’s right—a regular piece of our staff training work is to share what positive energy is all about. Energy is a commonly accepted, well understood and oft-referenced part of our formal teaching work and it’s well embedded in our culture. (For more on our approach to energy management, see Zingerman’s Guide to Good Leading Part 2, A Lapsed Anarchist’s Approach to Being a Better Leader.) We share why it matters to us so much, we teach three elements of energy, and follow it up with a four step recipe for effective energy management. How did that happen? It’s certainly not something I grew up with! Nearly 10 years ago, I was lucky enough to meet Anese Cavanaugh. Most all of what I’ve learned about energy and effective energy management came from Ms. Cavanaugh! Her impact on our organization has been super positive. When we teach energy management at ZingTrain, especially in our Leading with Zing!, and Zingerman’s Experience seminars, we always credit Anese. She’s the source. She’s a good friend. She’s a great teacher. While others in the country complain and criticize, Anese is all about staying grounded and making a positive impact. Later this month, this inspirational leader will be back in town! Not only will she be here to teach, but she will be celebrating her new book’s national release. The Leader You Will Be: An Invitation will be out for sale for the first time anywhere at the Roadhouse on the evening of Wednesday October 24. 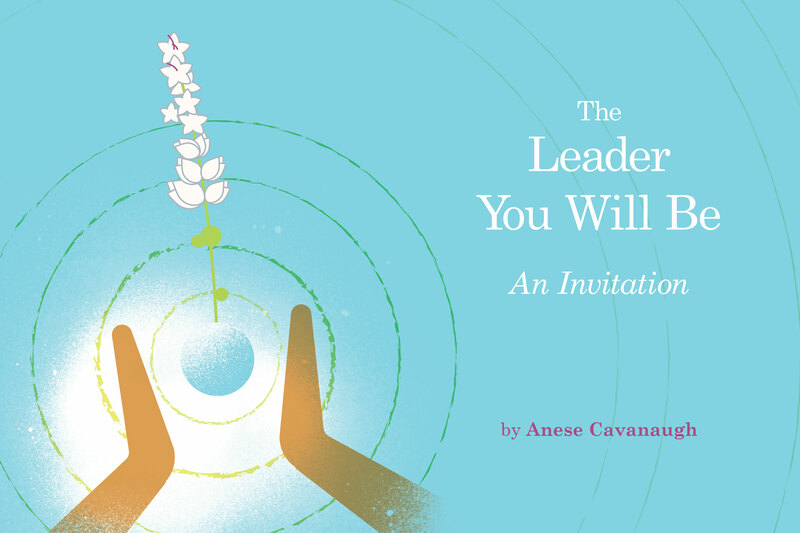 Anese will do a reading, share a bit of her insight and leadership wisdom. To up the ante a bit, there will be a few Roadhouse appetizers on hand to energize you while you learn. The $50 ticket covers the talk, the tastes, and a copy of the new book. Since it’s a week before Halloween, I started to think about the event as a meaningful adult version of “trick or treat.” Anese’s work, after all, is about the difference between the all-too-common way leading and living with a socially approved “mask” (trick) and leading with authentic energy (treat). You will leave, I guarantee, with good energy and good insight. And unlike the candy your kid will likely get a week later, Anese’s intellectual and emotional treats are all good for you, and will, if you and I use them well, last a lifetime! PS: If you want to do a much deeper dive into Anese’s great work, I highly recommend her two-day Intentional Energetic Presence workshop which will be held the following two days (Thursday and Friday) at Zingerman’s Greyline. The learning, the food, and the energy are all guaranteed to be excellent!" Raise your energy at the Roadhouse!